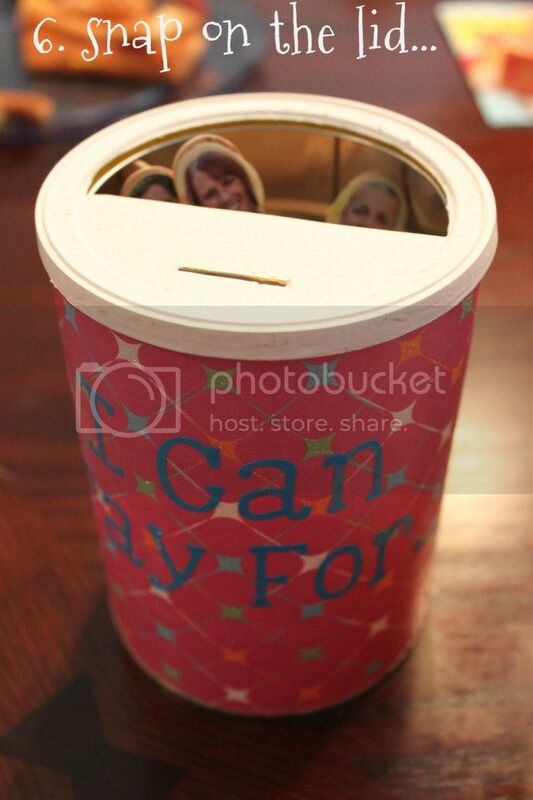 when my friend lauren asked if i wanted some empty formula and coffee cans that she'd been saving, of course, i said "yes!" i came across this pin on pinterest. to be honest, i didn't even click on the link to see what the post was all about. 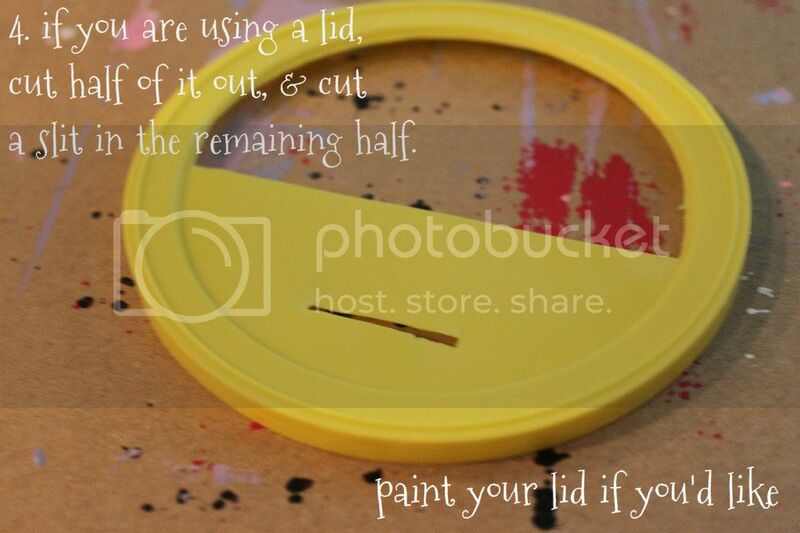 the picture and "pin" alone were enough to have me hooked. we are firm believers in the power of prayer in the tippins household. we try our best to teach our girls how important it is to talk with God through prayer. thankfulness, praise, gratitude, hurt, brokenness, repentance, supplication - all things that can be expressed through prayer. but it's hard when you're three (or...ahem....30) to not focus only on our own needs when we pray. i know i'm quick to say, "i'll pray for you" to a friend or family member in need...and while i really do pray for them, there are times that it's just a quick, whispered prayer and then i go on about my day too wrapped up in my own "needs" to earnestly seek the Lord on their behalf. there is no doubt in my mind that the Lord hears my heart and each whispered prayer, but i want to make a conscious effort to petition the Lord on behalf of those i love with as much conviction as i know they deserve. i want to teach my girls that not only can we take our own hurts, sorrows, and needs to the Lord in prayer, we can also pray for those we love. that's where our prayer can comes in. 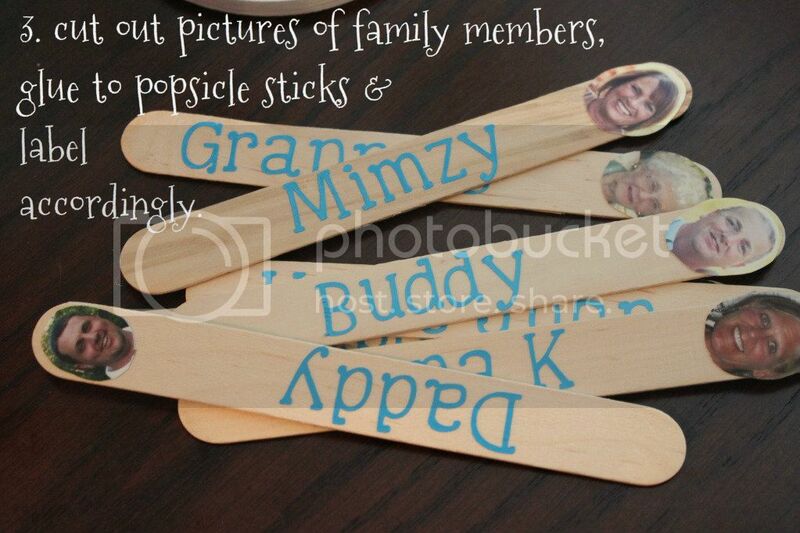 each day, libbi draws out a popsicle stick that features the name and picture of a loved one. when we say our bedtime prayers, we will pray for this person. throughout the following day, we will continue to pray for this person and thank God for him/her, making sure to include and specific requests that we know he/she is in need of. 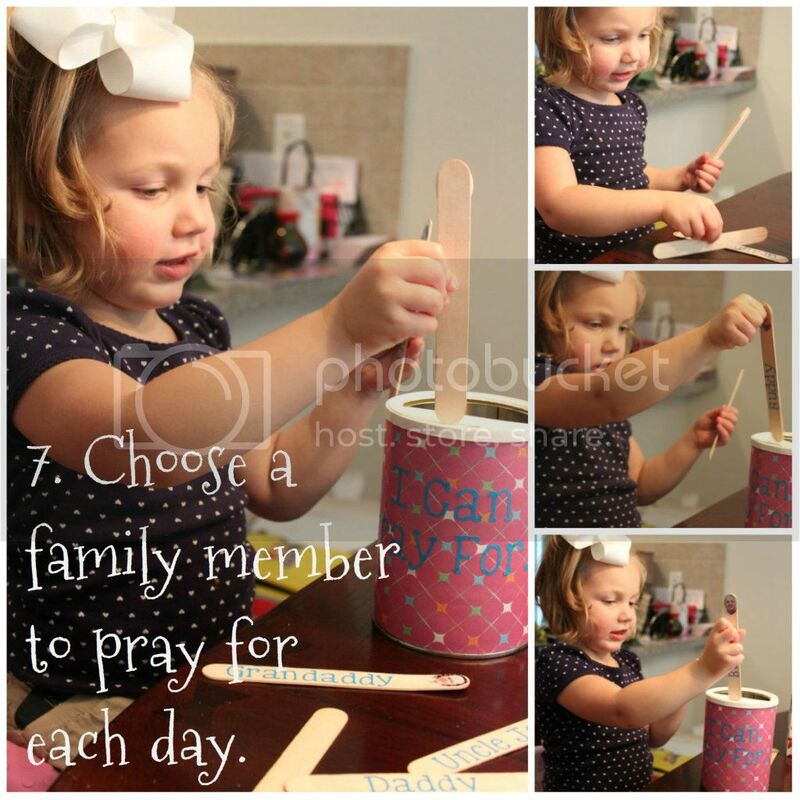 when it's time for bed once again, the popsicle stick will go back into the "prayer can", another name will be drawn out, and the process will begin again. 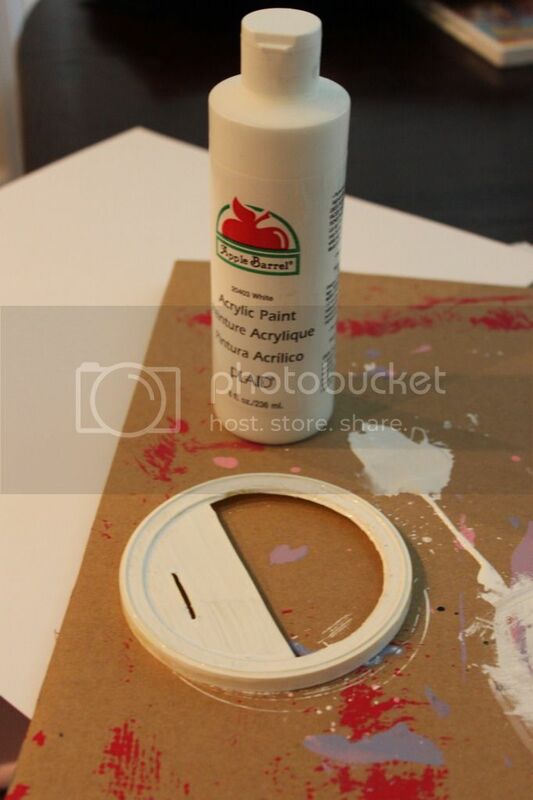 first, i let libbi peel the label off the can and remove the lid i also let her choose the scrapbook paper we'd be using, but (much to her disappointment) i had to draw the line at letting her cut it. 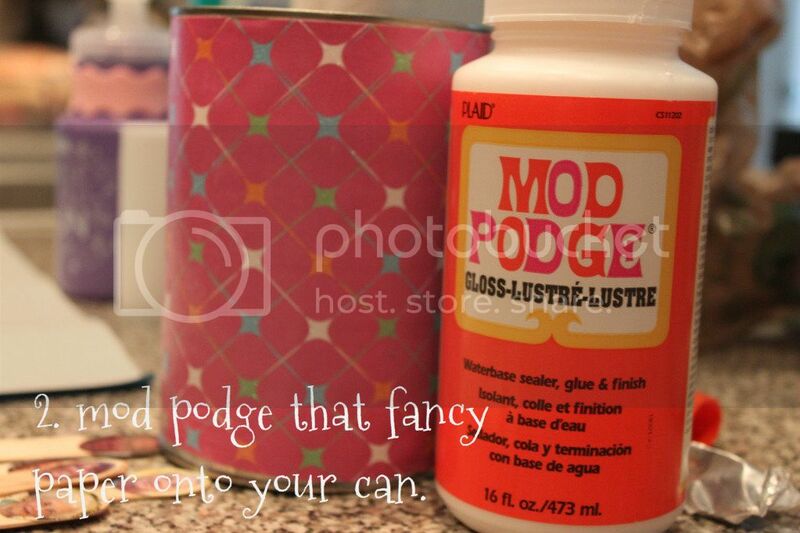 next, i found some trusty old mod podge that i had in my "craft closet" and used it to attach the paper to the can. i used my silhouette to cut out each family member's name. 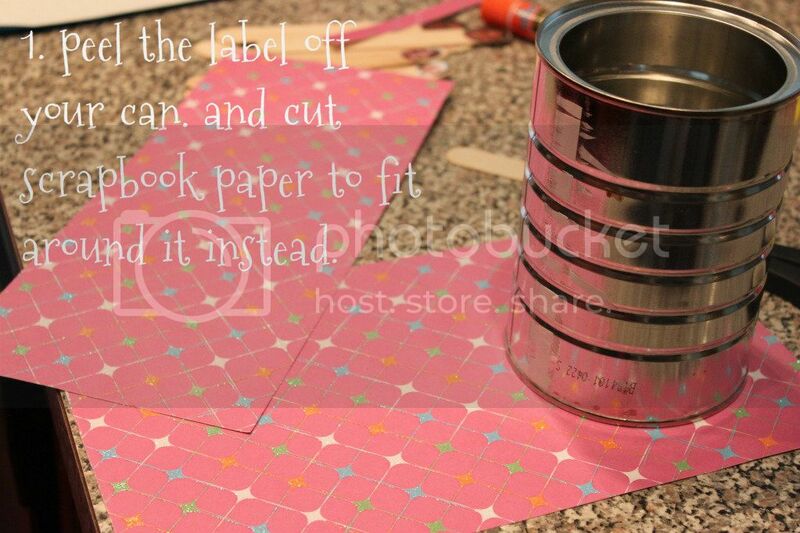 but you could easily just handwrite them or use scrapbook stickers, too! 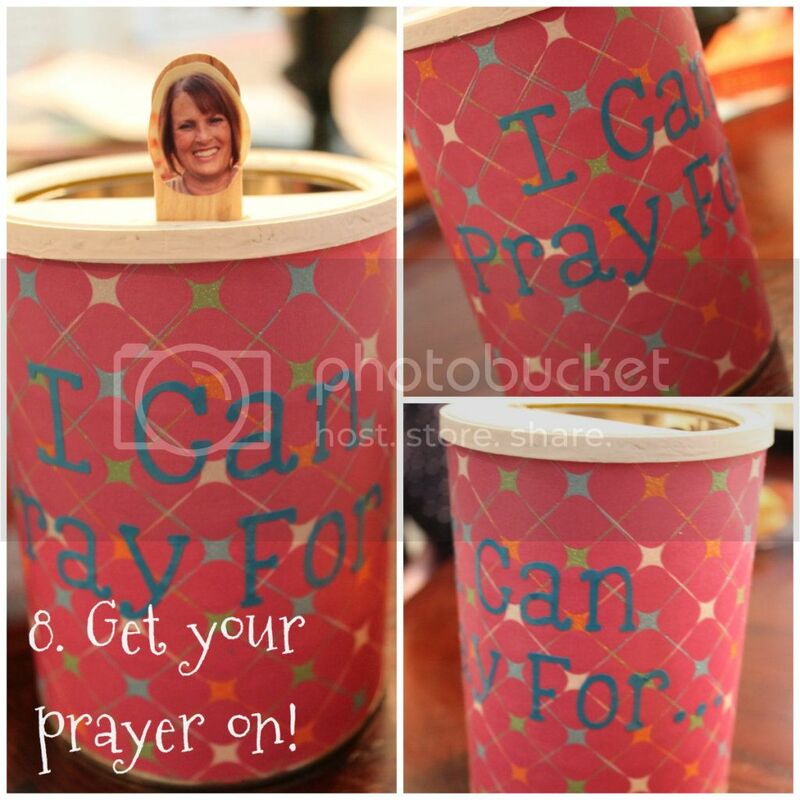 put on the lid, and labeled the can with "I Can Pray For..."
i decided that i wanted a way to keep the person we were praying for in the "forefront" for the day. so that's where the "slit" comes in. 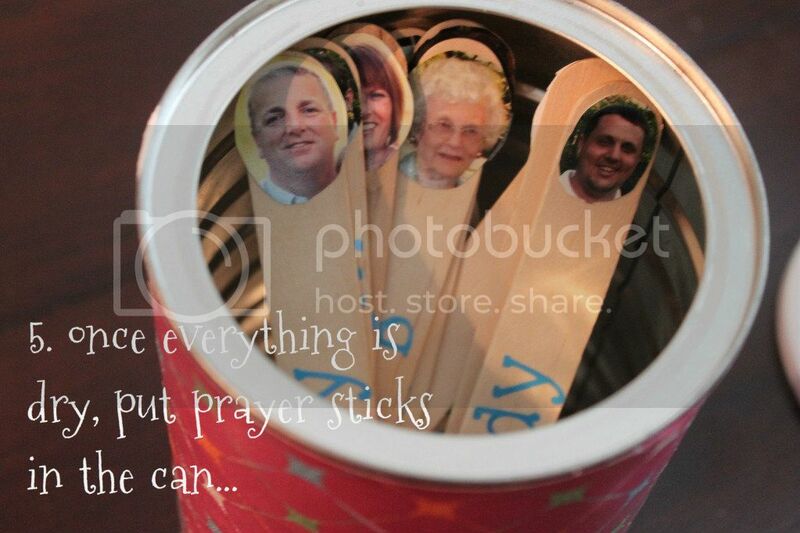 the stick that is drawn out goes into the small slit up front so we can see our loved one's face throughout the day and to remind us who we're praying for. now the important part begins...pray!! commit to pray for your family members and friends and stick to it. (get it?!? get it?!?! "stick" to it....popsicle "sticks" - hardy har har...i couldn't help myself) :) happy crafting and may your prayers be frequent, full, and fervent!